A Cold War era retaliatory missile defense program has suddenly activated and you are in the only facility capable of stopping it. The date is August 1, 2009, and you are the first to arrive at your new military post inside the Ochs-Bragg Missile Complex (OB-16.12). Shortly after your arrival, a sudden event inexplicably triggers a total lockdown of all doors and controls and immediately initiates what appears to be an automated missile launch countdown. Has the computer detected a real nuclear threat, or is the launch system malfunctioning? The Ochs-Bragg Missile Complex (OB-16.12) is a top-secret, intercontinental nuclear missile Launch Facility (LF) bunker built under the cover of the TVA Power Program. Located deep beneath the Racoon Mountain TVA Reservoir, OB-16.12 was an integral part of the United States’ Cold War era nuclear defense program acting under a protocol known as Mutually Assured Destruction – Launch On Warning (MAD-LOW). Beneath the reservoir are four silo banks which each house three (3) nuclear intercontinental missiles. During its original years of operation, OB-16.12 was completely controlled by a central computer built to monitor and detect nuclear threats. By design, if a nuclear threat is detected, the computer immediately initiates a counter-launch offensive sequence aimed at predetermined target locations around the globe. 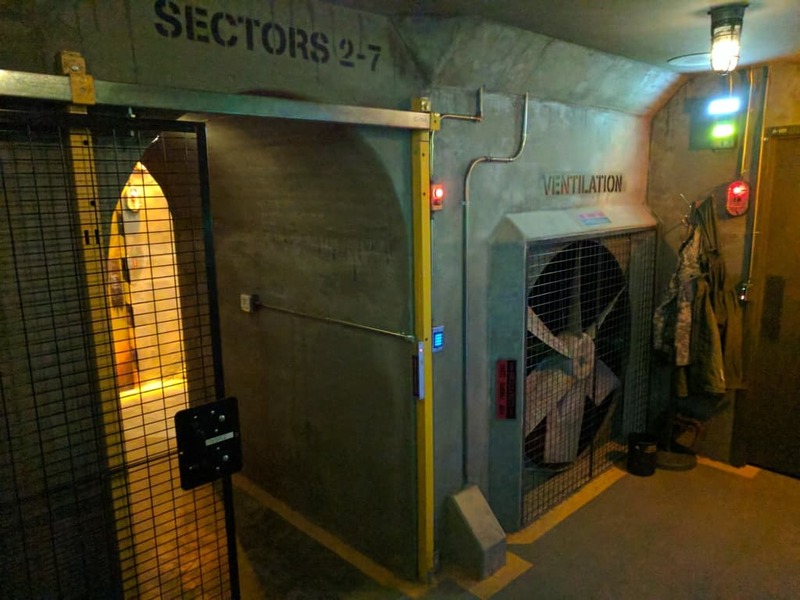 A safety lockdown procedure, lasting for a period of 48 hours, is also initiated, during which time it is impossible for anyone to enter or leave the bunker facility. The system was designed such that if the United States was taken by surprise and hit by a nuclear missile, an automated computer controlled retaliatory counter-strike would take place, even if no human personnel were left alive to manually initiate the launch. Since the Cold War, many of OB-16.12’s legacy systems were replaced or reconfigured for manual control. In 1992, the MAD-LOW automation system was taken offline and it is thought to still be inoperable today. However, much of the information regarding the bunker’s current systems and their function are still classified. Can you stop the launch, prevent a global nuclear war, and retreat to the radiation-free safe zone before it’s too late?